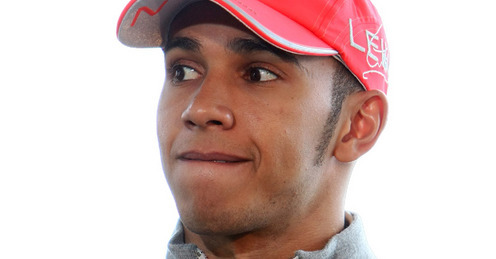 Lewis Hamilton has ready his calm with his team by accepting their details for his failed pit call in Australian GP. He was missing out of on podium finish in Australia, Lewis reprimands the team for the planning to call him for a second pit stop during the race, but he has now acknowledged the cause for the move. The team has made clear to me their reasoning following the second pit stop, and I can recognize what they were trying to do in trying to cover both Webber and Rosberg for later in the race,” Hamilton told his official website. We are still learning about this year’s tyres and the degradation, and perhaps we over-estimated the wear that the frontrunners were expecting to suffer. It’s something you learn from, and we’ll use that knowledge to help us improve throughout this season. Regardless of his rage at the team’s mistake, Hamilton was fast to appreciate Jenson Button after the race and once again paid tribute to his McLaren co-driver as he replicated on events in Melbourne. When Button finished in the press conference, I went down to see him and I gave him a big hug. You can’t take anything away from his drive in Australia – it was flawless, and he carefully deserved the victory. And every win is special: you always love to win, but if it can’t be for me, then I want it to be my team mate. It’s good to see the team celebrating Jenson’s win – victories are very important for our team because they not only bring everyone closer together, but they also help validate the work we’re doing and the approach we’re taking. After a difficult 2009 season and our regrouping over the winter, I think the win in Australia will make the whole team a lot stronger.